The holidays are coming and everyone wants a new tech gadget, but the economy makes things tough. What cool devices offer a lot of functionality and the most bang for the buck? You can spend a lot of time reading reviews and watching video on the web. Or you can go to the stores and look at the gadgets in display cases and shrink wrap. But even after all that, you still may be reluctant to write that check or pull the card out of the wallet. 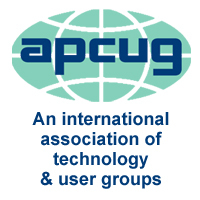 Third Annual GCPCUG / CDPUG Holiday Tech Gifts Extravaganza!!! Raffle Prize(s): Books from O’Reilly and more . . . Raffle proceeds will be donated to The Salvation Army. The Greater Cleveland PC Users Group and the Cleveland Digital Publishing Group are once again joining forces for their December meeting. The meeting will cover digital cameras, smart phones from multiple platforms, tablet computers, again from multiple platforms and how to watch your favorite TV shows and movies via the internet, but on your TV. Below is the current lineup. Please check the website on a regular basis as the schedule and products are subject to change. Plan on arriving by 9:30 as the first presentation will be then. No Q&A this month. Eric Wethington of Dodd Camera will show two SLR cameras, the Nikon D7000 (D90 on steroids) and the Pentax K5 (highest rated dynamic range of any APS-C sensor); and a compact pocket camera, the Fuji W3 (3D camera). There will even be some stocking stuffers: Lens Pen and White Balance Lens Cap. Stephen Wilson of The Coolest Geek will demonstrate the Apple iPhone 4 and show why the iPhone is even better than before. Howard Kass of Zinner / CDPUG will show the Motorola Droid with its speech recognizing and multitasking running on Android. Sarah Dutkiewicz of ClevelandTechEvents will show the Samsung Focus running Windows Phone 7 and featuring downloadable apps, social networking integration and 5 MP camera / camcorder. Spike Radway of Team Spike will show the Apple iPad which has established the tablet computer as a serious replacement for laptops and netbooks with light weight and large catalog of apps for work and fun. Sarah Dutkiewicz of ClevelandTechEvents has a new Hanvon Touchpad B10 tablet running Windows 7 with the functionality of a laptop but in a tablet form. Jim Evans of GeekClean demonstrates Roku TV. A low cost, small size box that connects to the internet and streams TV shows and movies to your TV on your schedule. Scott Seifert of Team Spike will show off the Apple TV, which is also a low cost, small box that streams from the internet to your TV.